They just can’t get enough of these new features can they?! Let’s start with the new shiny icon that was recently introduced – IGTV! You may have seen this new icon pop up in the top right corner which takes you to Instagram’s newest feature…IGTV. No ads (yet) – There are currently no ads on IGTV, but (obviously) that’s going to play a part before long. Commenting – There are opportunities to join existing IGTV conversations by commenting on popular videos. 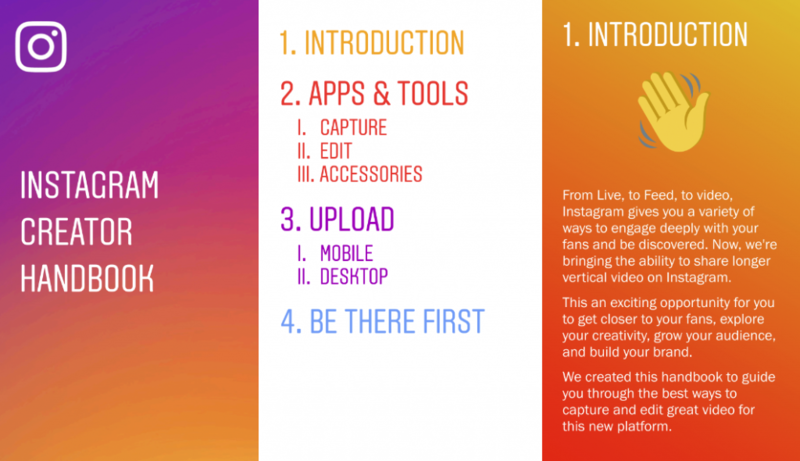 Instagram has also launched a “creator’s handbook” to guide you through the feature. Download it here. Also, another new feature is the “Ask me a question” feature which you also may have seen when creating Stories, allowing you to get your followers to ask you questions which you can then answer. Adweek have created a guide to using this feature, check it out here! 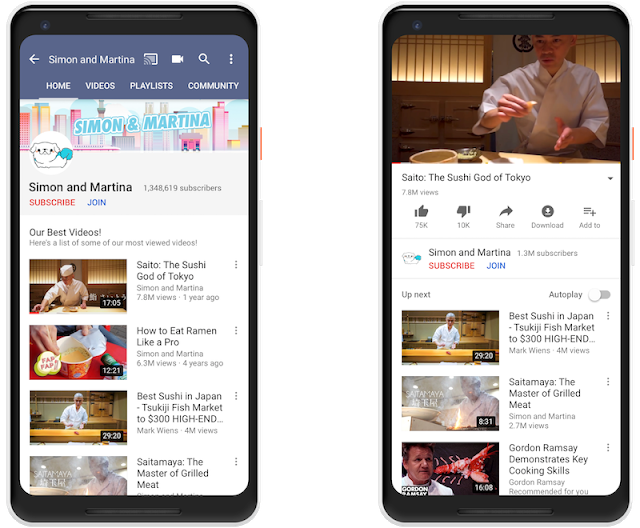 YouTube users can now subscribe to their favourite channels for exclusive content. This is part of a push from Google-owned YouTube to create more ways for the most successful YouTubers to “earn more money and build stronger communities.” The fixed $4.99 “Channel Membership” fee includes 30% that goes to YouTube. The feature is only available to channels with over 100,000 subscribers. Simply click “Join” to become a channel member. That’s not all. Merchandise can also now be sold right from your channel and videos via a new integration with TeeSpring (only available to channels with over 10k subscribers). YouTube Premieres was also announced. Described by Wired as “YouTube’s take on a traditional television premiere,” it also includes Super Chat, a feature that allows fans to pay to send prioritized messages to creators (this was previously only available in livestreams). 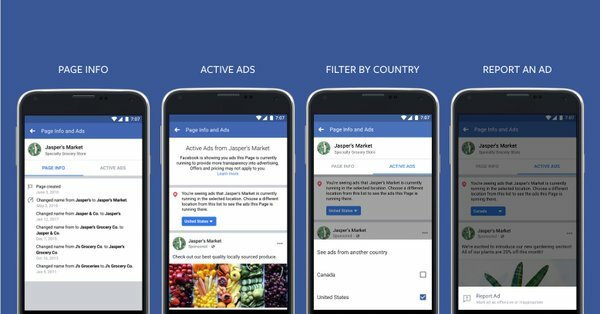 In order to add more transparency to business and advertising practices on Facebook, they’ve created a space called “Active Ads” where anyone can see the ads you’re running. There’s also a Page Info section that will include things like recent name changes. These sections are visible on mobile via a new prominent button on the page, as well as on the page’s sidebar on a desktop web browser. Music: Both Facebook and Instagram rolled out updates recently that let users add music to their original content. 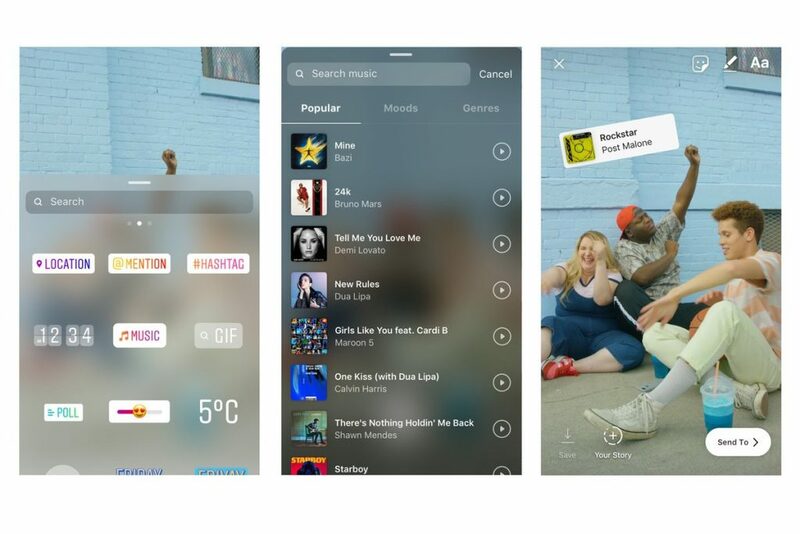 Music in Stories allows IG users to add music stickers to their Story posts. This will also add that track to your post, and you can choose the part of the song that fits your story best. “To try it out, choose the Lip Sync Live option when starting your Live video. After selecting a song from the song list, you can also add a description and customize your video with masks or a background. Twitter is also boosting its transparency with a similar feature to Facebook, the Ads Transparency Center, which will show all the ad campaigns an account has launched in the last week.